Johor Baru: While more than 2,700 people have been affected by the noxious fumes stemming from the illegal chemical dumping in Pasir Gudang, Malaysia’s Prime Minister Dr Tun Mahathir Mohamad declared on Thursday, March 14, that the situation is under control and that it was not necessary to declare a state of emergency. 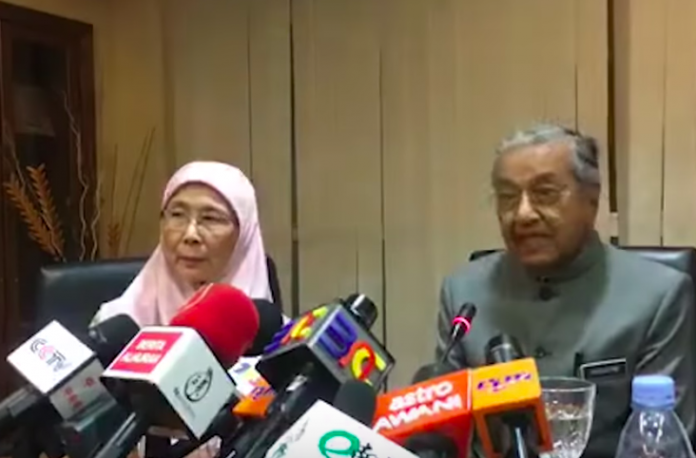 Speaking to the press after having visited victims of the toxic fumes who were admitted to the Sultan Ismail Hospital, Dr Mahathir did remind everyone involved to continue to be cautious since the situation had not been fully resolved. “We cannot say the worst is over,” he said. But the Prime Minister had good words for the agencies under the State Disaster Management Committee, whose swift actions made it possible to avoid a worsening of the situation. He also lauded the medical personnel for their “extraordinary response” to the chemical dumping crisis. A report from the New Straits Times said that cleaning works done on March 8, the day after the illegal dumping of chemicals, actually made the situation worse. It, unfortunately, intensified the chemical reaction in the river, which made even more people ill, according to the National Disaster Management Agency. So far, three men are now under detention for offences under the Environmental Quality Act 1974. Should these suspects be convicted of violations, they could be jailed for as long as 5 years and are liable to pay a fine of up to RM500,000, approximately S$166,000. The latest reports from the afternoon of March 14 show that 937 people have been poisoned by the toxic fumes in Pasir Gudang since the incident occurred the week before. Malaysia’s Health Minister, Datuk Seri Dr Dzulkefly Ahmad, announced that there have been no fatalities. Aside from the Sultan Ismail Hospital, the other victims are currently undergoing treatment at Sultanah Aminah Hospital and Permai Hospital. Though they are in stable condition, 12 of the victims are still in the Intensive Care Units (ICUs) of the hospital. Nineteen of the victims are health service staff members— eight of whom are medical officers, four nurses’ aides, seven nurses, one driver and one medical specialist. Dr Dzulkefly told the press on March 14, “Yesterday, 162 new cases were reported and from the number, 108 were warded while the rest were given outpatient treatment. For now, no deaths have been recorded. Meanwhile, Johor’s Sultan has not only called for a complete investigation as well as swift justice to be meted out to the perpetrators behind the unlawful chemical dumping, but has also pledged the amount of RM1 million (S$ 332,000) in support of the endeavors to provide solutions to the problems created by the toxic fumes.